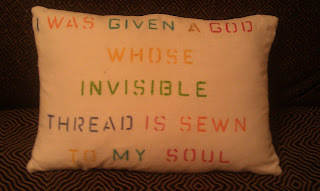 Carbo Poetry Pillows. 16in x 11in. 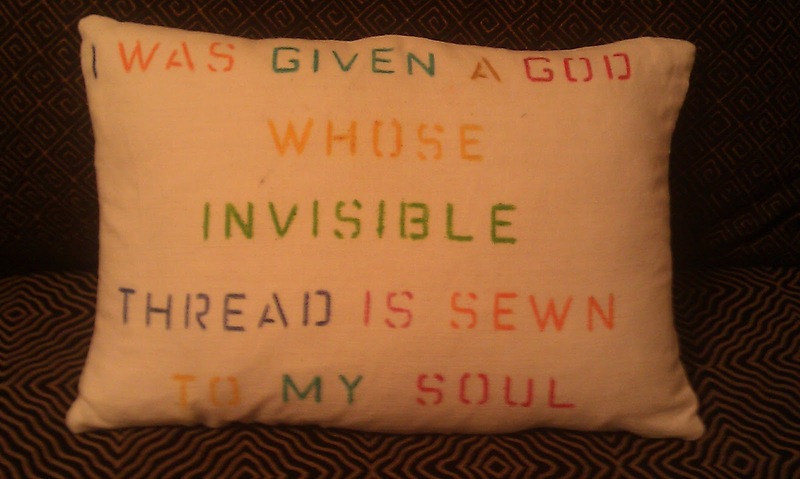 "I was given a God whose invisible thread is sewn to my soul." from Land of the Morning in El Grupo McDonald's. Pastel fabric paint on cotton/linen fabric. Signed, $150. Email for details (NCarbo@aol.com). Thanks.